On 6 February 2014, the Court of Justice of the European Union delivered its judgment in Blomqvist v. Rolex (case C-98/13). 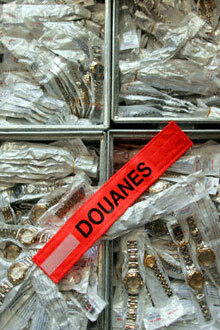 In January 2010, Mr Blomqvist, a resident of Denmark, ordered a watch described as a Rolex from a Chinese on-line shop. The order was placed and paid for through the English website of the seller. The seller sent the watch from Hong Kong by post. The parcel was inspected by the customs authorities on arrival in Denmark, who suspended the customs clearance of the watch. 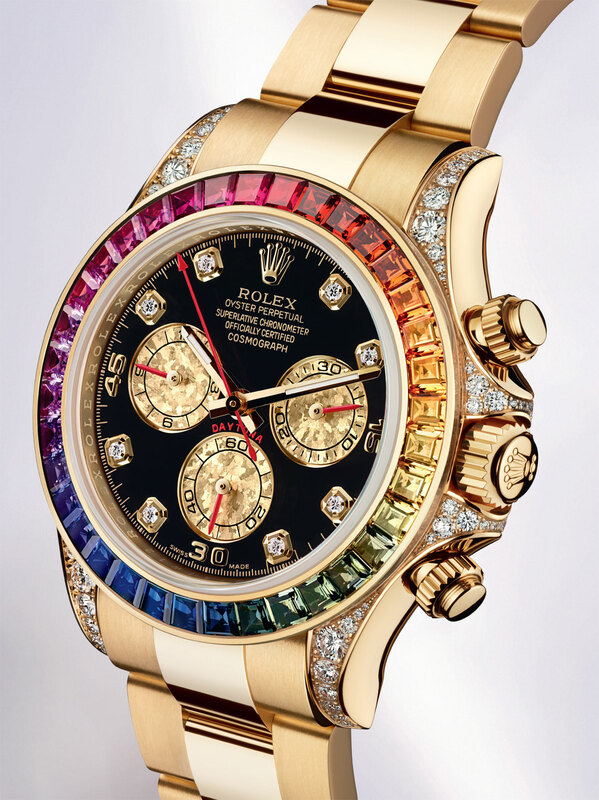 Rolex established that it was counterfeit, and requested that the buyer consent to destruction, as provided by Regulation (EC) No 1383/2003 of 22 July 2003 concerning customs action against goods suspected of infringing certain intellectual property rights and the measures to be taken against goods found to have infringed such rights (‘the customs regulation’). The buyer refused. Rolex went to court and won. On appeal, the Danish court raised the question whether an intellectual property right had actually been infringed, as required for the implementation of the customs regulation, given that, for that regulation to apply, first, there must be a breach of copyright or of a trade mark right which is protected in Denmark and, second, the alleged breach must take place in the same Member State. 26 In those circumstances the questions referred must be understood as meaning that the referring court seeks to know whether it follows from the customs regulation that, in order for the holder of an intellectual property right over goods sold to a person residing in the territory of a Member State through an online sales website in a non-member country to enjoy the protection afforded to that holder by that regulation at the time when those goods enter the territory of that Member State, that sale must be considered, in that Member State, as a form of distribution to the public or as constituting use in the course of trade. The referring court also raises the question whether, prior to the sale, the goods must have been the subject of an offer for sale or advertising targeting consumers in the same State. 27 In that regard, it must be borne in mind, first, that the proprietor of a trade mark is entitled to prohibit a third party from using, without the proprietor’s consent, a sign identical with that trade mark when that use is in the course of trade, is in relation to goods or services which are identical with, or similar to, those for which that trade mark is registered, and affects, or is liable to affect, the functions of the trade mark (Joined Cases C-236/08 to C-238/08 Google France and Google  ECR I?2417, paragraph 49 and the case-law cited). 28 Second, under the copyright directive, an exclusive right is conferred on authors to authorise or prohibit any form of distribution to the public by sale or otherwise of the original of their works or copies thereof. Distribution to the public is characterised by a series of acts going, at the very least, from the conclusion of a contract of sale to the performance thereof by delivery to a member of the public. A trader in such circumstances bears responsibility for any act carried out by him or on his behalf giving rise to a ‘distribution to the public’ in a Member State where the goods distributed are protected by copyright (see, to that effect, Donner, paragraphs 26 and 27). 29 Accordingly, European Union law requires that the sale be considered, in the territory of a Member State, to be a form of distribution to the public within the meaning of the copyright directive, or use in the course of trade within the meaning of the trade mark directive and the Community trade mark regulation. Such distribution to the public must be considered proven where a contract of sale and dispatch has been concluded. 30 It is not disputed that, in the case in the main proceedings, Rolex is the holder in Denmark of the copyright and trade mark right which it claims and that the watch at issue in that case constitutes counterfeit goods and pirated goods within the meaning of Article 2(1)(a) and (b) of the customs regulation. Nor is it disputed that Rolex would have been entitled to claim an infringement of its rights if those goods had been offered for sale by a trader established in that Member State, since, on the occasion of such a sale, made for commercial purposes, use would have been made, on distribution to the public, of its rights in the course of trade. It therefore remains to be ascertained, in order to reply to the questions referred, whether a holder of intellectual property rights, such as Rolex, may claim the same protection for its rights where, as in the case in the main proceedings, the goods at issue were sold from an online sales website in a non-member country on whose territory that protection is not applicable. 31 Admittedly, the mere fact that a website is accessible from the territory covered by the trade mark is not a sufficient basis for concluding that the offers for sale displayed there are targeted at consumers in that territory (L’Oréal and Others, paragraph 64). 32 However, the Court has held that the rights thus protected may be infringed where, even before their arrival in the territory covered by that protection, goods coming from non-member States are the subject of a commercial act directed at consumers in that territory, such as a sale, offer for sale or advertising (see, to that effect, Philips, paragraph 57 and the case-law cited). 33 Thus, goods coming from a non-member State which are imitations of goods protected in the European Union by a trade mark right or copies of goods protected in the European Union by copyright, a related right or a design can be classified as ‘counterfeit goods’ or ‘pirated goods’ where it is proven that they are intended to be put on sale in the European Union, such proof being provided, inter alia, where it turns out that the goods have been sold to a customer in the European Union or offered for sale or advertised to consumers in the European Union (see, to that effect, Philips, paragraph 78). 34 It is common ground that, in the case in the main proceedings, the goods at issue were the subject of a sale to a customer in the European Union, such a situation not being therefore in any event comparable to that of goods on offer in an ‘online marketplace’, nor that of goods brought into the customs territory of the European Union under a suspensive procedure. Consequently, the mere fact that the sale was made from an online sales website in a non-member country cannot have the effect of depriving the holder of an intellectual property right over the goods which were the subject of the sale of the protection afforded by the customs regulation, without it being necessary to verify whether such goods were, in addition, prior to that sale, the subject of an offer for sale or advertising targeting European Union consumers. 35 In the light of the foregoing, the answer to the questions referred is that the customs regulation must be interpreted as meaning that the holder of an intellectual property right over goods sold to a person residing in the territory of a Member State through an online sales website in a non-member country enjoys the protection afforded to that holder by that regulation at the time when those goods enter the territory of that Member State merely by virtue of the acquisition of those goods. It is not necessary, in addition, for the goods at issue to have been the subject, prior to the sale, of an offer for sale or advertising targeting consumers of that State. Council Regulation (EC) No 1383/2003 of 22 July 2003 concerning customs action against goods suspected of infringing certain intellectual property rights and the measures to be taken against goods found to have infringed such rights must be interpreted as meaning that the holder of an intellectual property right over goods sold to a person residing in the territory of a Member State through an online sales website in a non-member country enjoys the protection afforded to that holder by that regulation at the time when those goods enter the territory of that Member State merely by virtue of the acquisition of those goods. It is not necessary, in addition, for the goods at issue to have been the subject, prior to the sale, of an offer for sale or advertising targeting consumers of that State. Interesting case. It is clear that Rolex wants to protect their intellectual property. But maybe the buyer did not know if it was fake.